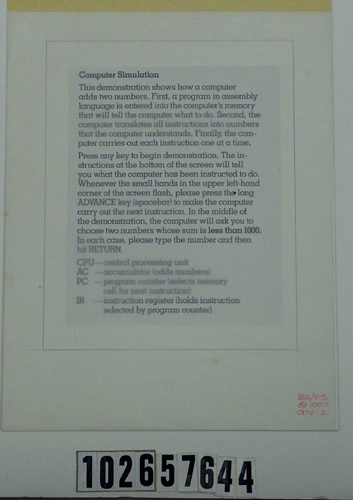 into a demonstration that simulates a computer. This demonstration shows how a computer adds two numbers. Press any key to begin demonstration.